Building backlinks to your blog is important for a number of reasons, mainly in terms of the search engine listing of your blog page. One of the main reasons for having other blogs, or even regular website pages, link to yours is to improve your search engine results position (SERP), particularly with Google. Why Google? Because that is the premier search engine taking up to 85% or more of online searches for information. Bing, Yahoo and the others are useful to an extent, but they are very minor in terms of number of users, and if you are optimizing your blog for search engines, make sure it is optimized for the Google search and ranking algorithms. 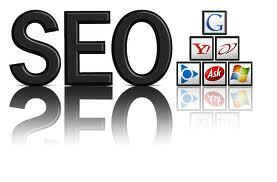 Google PageRank (PR) is calculated by Google’s Page Ranking algorithm from the number and quality of links to your page. Every page on your blog has its own PR on a numerical scale of 0 to 10, and while nobody but Google really knows how the number of links relates to each step up, most believe it to follow some form of exponential scale. Thus, you may get a PR of 1 with 10 links, 2 with 100 links and 3 with 1,000 links and so on: that is conjecture, but those that know how many backlinks they have believe it to be something along these lines. But that’s not all that’s involved – the quality of each link is also calculated by the algorithm, and we shall discuss that shortly. For now, the more backlinks you have the higher your PR – but what does a high PR mean to you? Google uses your PageRank when calculating the listing position, or SERP, of each of your blog pages. If you want a high listing for your keyword in Google’s results pages, then the higher your PR the higher your position might be, and the more backlinks you get then the higher your PR. If you have a backlink on a prominent position on the linking web page, you are liable to get people clicking on that link for information if that page relates to your niche. In the eyes of Google, that’s the whole objective of links: for the linked page to offer a service to visitors and enable them to click it to get more information on the topic. Improved PageRank is a reward, not the objective. The page with the outgoing link for offering its visitors a better service by linking a site with more information on the niche. The benefit from (i) is provided in the form of extra score by the ranking (listing) algorithm, making it more likely to to get a higher listing. All other factors being equal, the site offering good outgoing links to relevant web pages will be listed higher than those that do not. The benefit from (ii) is in the Google PageRank factor, and all other factors being equal, the page with a higher PR will be listed above that with a lower PR. 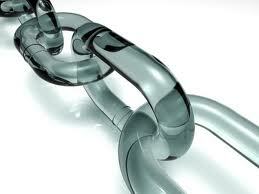 You should now understand the concept of backlinking, and the importance of the link being related to the target page. If your blog is about dog breeding, and a Forex page links to you, then neither the Forex page nor yours will get much benefit, and some believe that Google will actually punish both for offering irrelevant information. The more the keywords and semantics between the two pages relate to each other, the greater will be these benefits. Google uses its LSI (latent semantic indexing) algorithm to assess the relevance of the two pages in mathematical terms, and will then apply a weighting in its SEO ‘score’ for each page. That’s why it is important to make sure that your backlink isn’t published on a ‘links page’, sometimes referred to as ‘our partners’ or similar. Such pages often have no content other than a list of links which will do you very little good. It is best to negotiate a reciprocal link from your respective web pages containing content relevant to the link. A backlink to your page on ‘newborn puppy care’ from another page on the same topic would be best, but also good would be to have your link published on a page relating to ‘puppy food’ or ‘dog care’. Less good, but still a valuable link, would be ‘dog training’ and no good at all would be ‘make money from home’ – such irrelevant links are not uncommon and could be punished! The importance of building backlinks to your blog cannot be overemphasized, although they can’t be just any links. They must be carefully chosen and the two pages linked should be related to each other. You benefit in terms of Google PageRank, SEO, higher listing positions and publicity/exposure to the other website’s visitors. Brian Verigin, Life and Internet Coach. If what I have said to you above is of interest and you want to learn more get connected with YahSuccess. 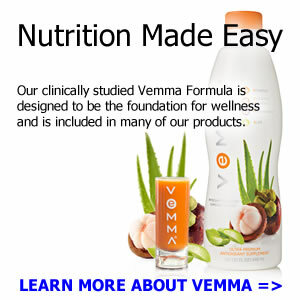 Send me an email saying you read this article and would like to learn more.